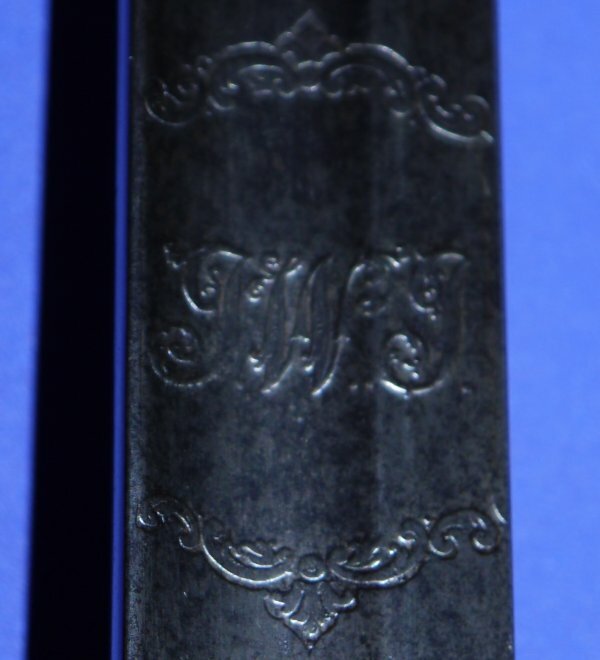 In good condition, an 1854 Pattern British Infantry Officer's Wilkinson Sword with original owner's / officer's initials. Serial number 18828 for the 4th March 1873. Unfortunately the Wilkinson sales ledger has a blank for this serial number. 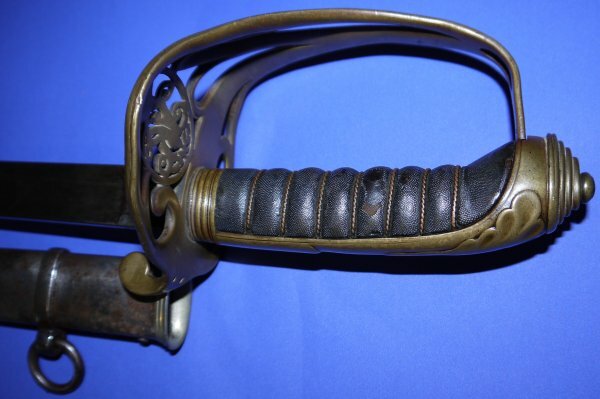 However, the blade has the original owner's / officer's initials, "I W I", so it may well be possible to determine who it belonged to by careful study of Hart's Army List for 1874. The blade is period sharpened, so it raises the likelihood the officer was with a primary / active service infantry regiment. The 32 1/4 inch blade is in good shape with some patina but the etching is still good and clear. Blade firm in the hilt. 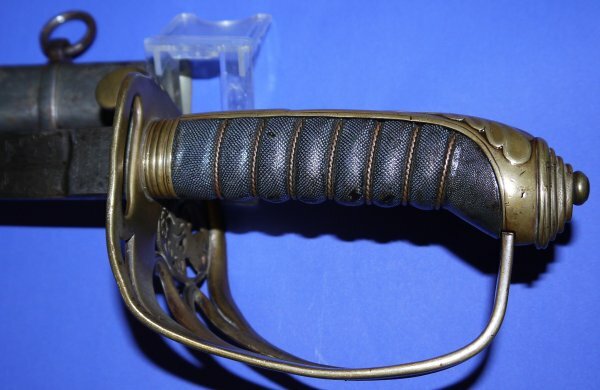 The brass hilt has some damage (bending) as is common with hilts made from this softer metal. The fishskin grip has a lot of wear, with patches of wear loss, but is otherwise sound. The twisted grip wire is good. The steel field service scabbard is aged but good. The sword sheathes and draws well. 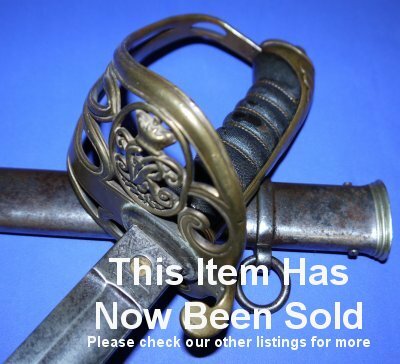 Worth the research, this sword smacks of active service. Well worth £600. Please quote item reference T71. Further / full sized images available upon request. Box 0871-1m (2.039).